The CAMO Marksman Pro range helps professional carpenters, builders, landscape gardeners and other tradesmen achieve a perfect finish for PVC, composite and wood decking projects. It attaches deckboards directly to the substructure with side-angle entry so you have no pre-drilling, no exposed screw heads, no visible screw holes and far, far fewer cracked or broken decking boards. 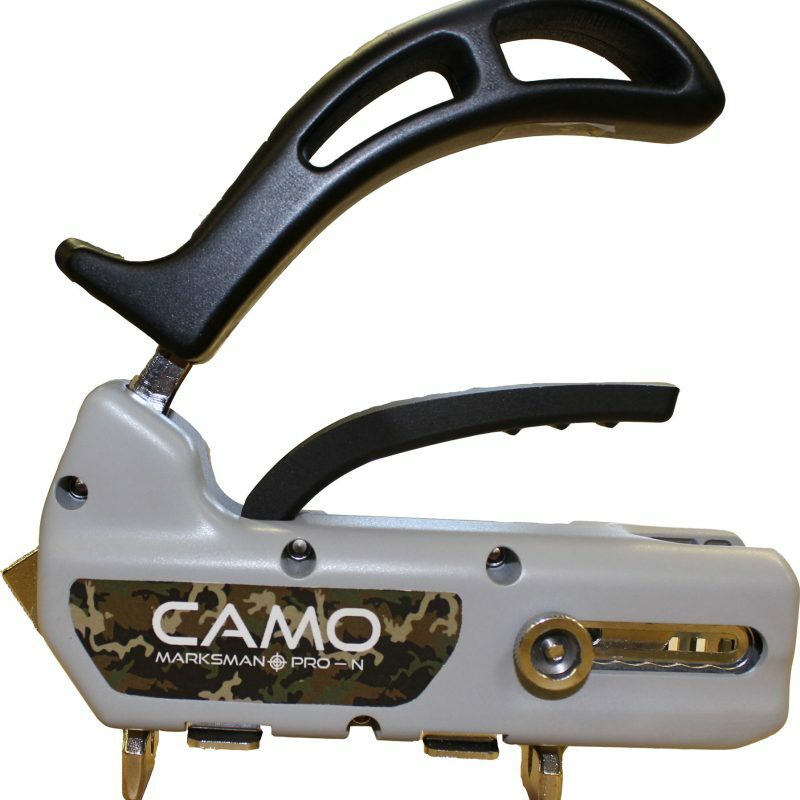 The way CAMO Marksman tools work is simple. Just position the Marksman Pro on a decking board directly above a joist, squeezing the trigger handle. Release the trigger handle once in position and, aided by a dial to adjust the spacer teeth, the Marksman Pro will grip the board at either side. The spacer teeth guarantee a given space between each decking board. Load a CAMO exterior screw fastener into each of the guide-holes on each end of the CAMO Marksman and, using your drill with a CAMO driver bit, drill the screws into position, leaving a fastener-free finish. It couldn’t be easier or faster.